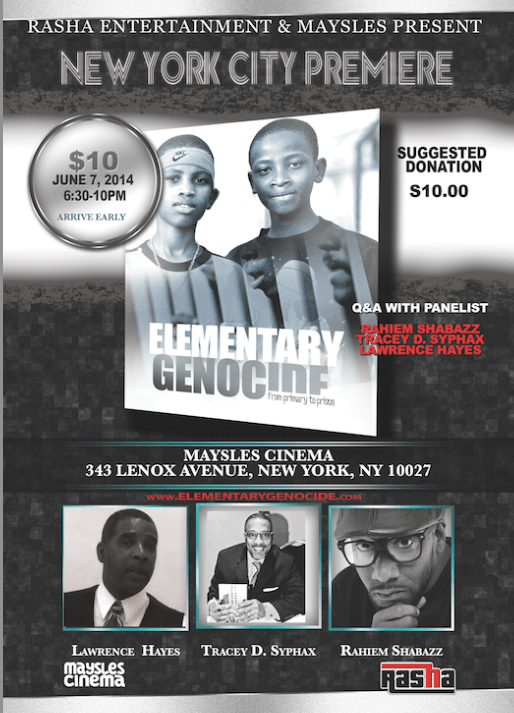 The screening of “Elementary Genocide” took place at Mayseles Cinema in Harlem. 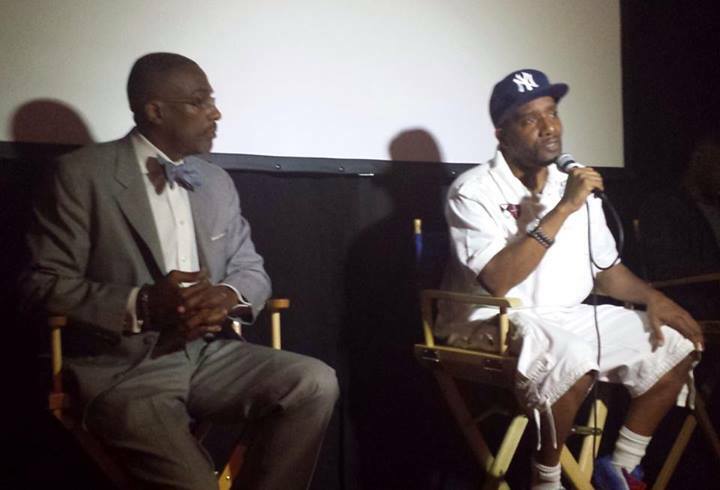 The event was moderated by Source Magazine writer Shabe Allah-Cleare. Lawrence Hayes and Tracey D. Syphax were panelist along with myself.